If you think yourself a car expert, think again. Here are some interesting things that you probably don’t know (but should!) about washing your car. 1. 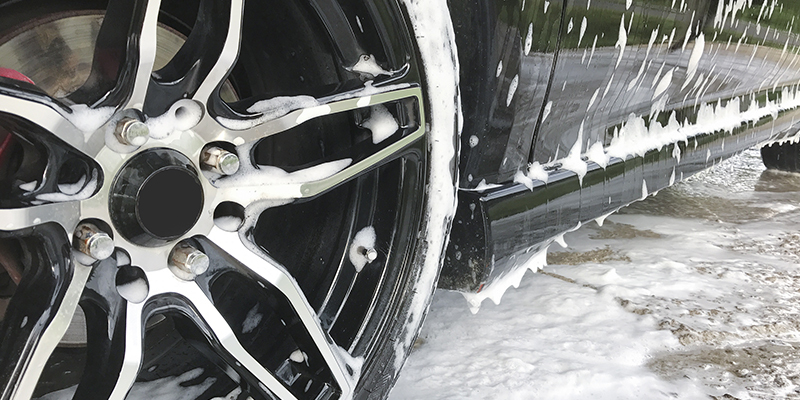 Commercial Car Washes Are ACTUALLY More Water Efficient Than Washing Your Car at Home! In fact, commercial car washes use very little water per wash, comparatively. Often, some will even use recycled water systems, which allow for the water to be treated before heading for the drain. Just look for the Australian Car Wash Association sign (which Hoppy’s Carwash is a member of) and you’ll know that that car wash is more water efficient and better for the environment. Our Gold Coast and Brisbane city stormwater systems aren’t equipped to collect anything other than excess rainwater. Which mean, they have no mechanisms or filters in place to treat the runoff water. So, all of that soap, bacteria, metals and grime that you are washing off your car and using to wash your car with are flowing freely into our water systems and contaminating our beaches, rivers and streams. The best way to avoid this: use a commercial car wash, like Hoppy’s Carwash, who have to adhere to city guidelines and treat their water runoff before it goes down the drain. Win, win for everyone if you ask us! 3. Its Most Often CHEAPER to Get Your Car Washed at A Commercial Carwash Than It Is to Wash It Yourself at Home! Especially, with Queensland’s rising water bills! Unless you have a rainwater tank at your home, chances are washing your car at home is in fact costing you more than if you took it to a commercial car wash! Hoppy’s Express Wash locations on the Gold Coast and Brisbane offer a basic ‘Express Wash’ for just $15, and at our Hand Car Wash and Café locations we offer a basic ‘Exterior Wash’ for just $25. That’s a tough price to beat, and we’re pretty confident if you add up what you’re spending on products, accessories and water, we’re going to be way cheaper!